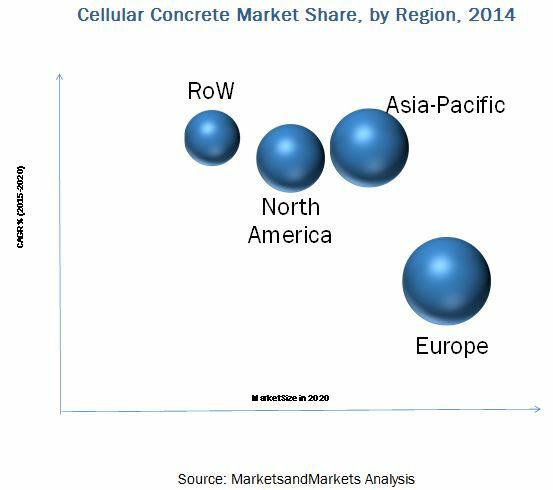 [140 Pages Report] The cellular concrete market size is estimated to grow from USD 337.6 Million in 2015 to reach USD 449.8 Million by 2020, at a CAGR of 5.9%. The segments considered for this report are based on end user, application, and region. The segmentation by end user consists of commercial buildings, residential buildings, and infrastructure. Based on application, the report has been segmented into building materials, road sub-bases, concrete pipes, void filling, roof insulation, and bridge abutment. The final segment, that is, region, consists of North America, Europe, Asia-Pacific, and the Rest of the World (RoW). The base year considered for the study is 2014 and the market size is projected from 2015 to 2020. Factors such as lightweight, low cost, high thermal insulation, and environment friendly have driven the global cellular concrete market. Cellular concrete is a formed by mixing of different raw materials (gravel, sand, fly ash and foaming agents). These raw materials available in the market are supplied by major companies such as NEOPOR System GmbH (Germany), Brickwell (India), Masa GmbH (Germany). 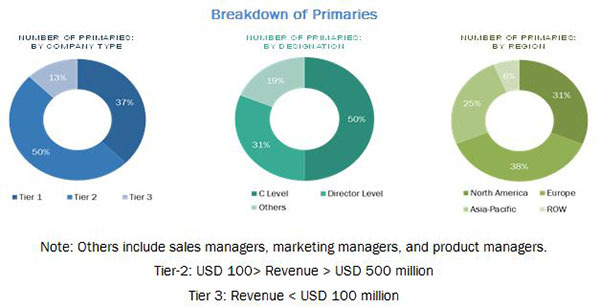 The cellular concrete market comprises companies such as Saint Gobain (France), Xella Group (Germany), Cellucrete (U.S.), Cematrix (Canada), Litebuilt (Australia). MarketsandMarkets projects that the cellular concrete market size by value will grow at a CAGR of 5.9% between 2015 and 2020. The market has been growing in accordance with the global construction industry. With increasing urbanization and industrialization, the need for new construction has increased significantly throughout the world, which has played a huge part in providing the necessary momentum to the global market, after the economic slowdown between 2007 and 2009. The recovery of global economy would also boost the demand for the cellular concrete market.